RCS or respirable crystalline silica is one of the most common naturally occurring elements on the planet. Found in the earth's crust crystalline silica is a key component of soil, sand, granite and other naturally occurring minerals. 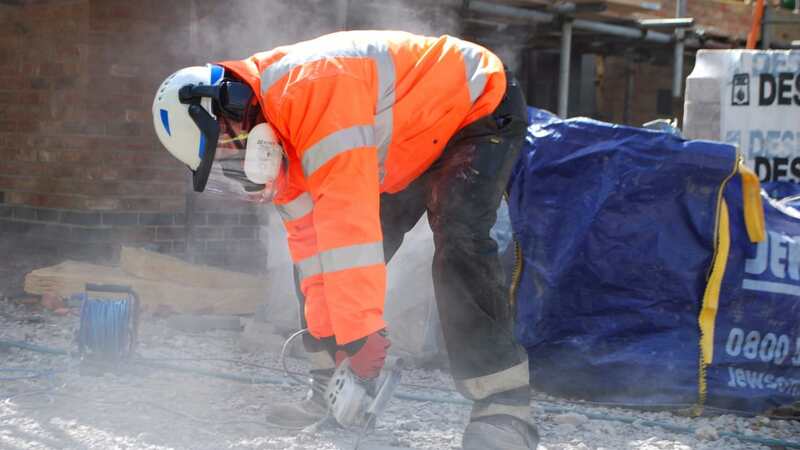 According to HSE, respirable crystalline silica (RCS) is the second biggest risk to construction workers, following asbestos. In fact, it was revealed that it was responsible for between 10 and 20 annual deaths over the last 10 years. There are three main types of crystalline silica; Quartz is the most common, followed by cristobalite and tridymite. Where can Silica Dust or Crystalline Silica be found? Crystalline Silica can be encountered in a great number of industries including construction, marine, mining, quarrying, stone work, tunnelling, glass and ceramic manufacturing and foundry. Furthermore any abrasive activities that cut, chip, drill or grind can cause silica dust to form. Other examples can include removal of paint, oils, rust or dust from a surface, concrete mixing, drilling or cutting, rock drilling, sawing, pneumatic drilling and abrasive blasting to smooth surfaces such as glass, or stone. What are the risks of being exposed to silica dust? Awareness of the dangers posed by breathing in RCS is increasing but still many workers do not fully understand health risks of RCS exposure. 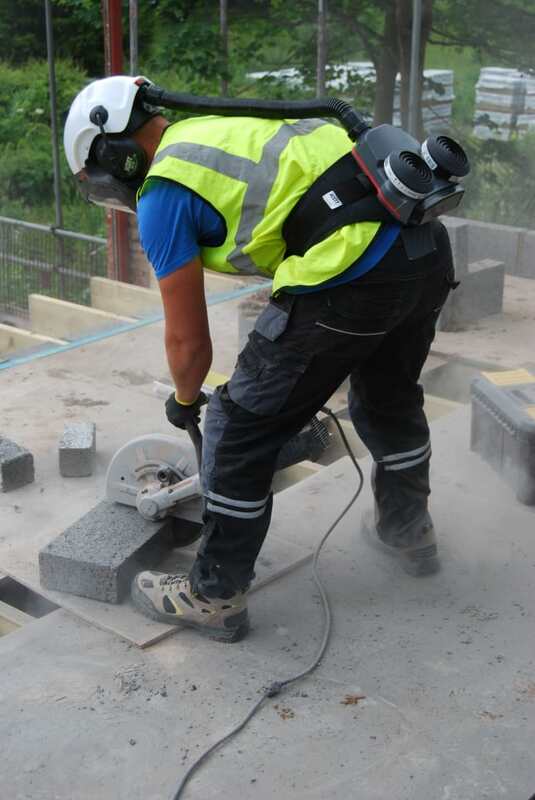 Respirable crystalline silica can cause irreversible fibro-cardiovascular diseases such as silicosis, cancer and even pulmonary tuberculosis. Silicosis in particular is incurable so workers who are exposed to silica are at big risk. Chronic silicosis: This is the most common type and usually occurs after 10 years exposure to low level silica dust. Accelerated Silicosis: This takes 5 - 15 years to develop and is a result of high level exposure. Acute silicosis: In this case the individual has been exposed to very high levels of silica dust and symptoms will usually make themselves known within a matter of weeks. How to reduce exposure to silica dust/prevent silicosis? Conduct a detailed risk assessment to identify all hazards including RCS. Control exposure to dust wherever possible and make a conscious effort to minimise dust. Control of RCS at source is the first line of defence such as local extraction and dampening down dust. Use high quality dust extraction and suppression equipment and use correctly. Educate workers about the effects of silica dust and how to work safely in its environments. Keep PPE clean and remove all clothing worn in the environment before going home. Use a vacuum or wet sweep when cleaning rather than a dry sweep. Wear respiratory protection equipment (RPE). So what RPE will protect you? Disposable half masks are not suitable for providing protection against RCS in all types of RCS-generating processes but may be suitable for some low level environments for example when clearing rubble and screening demolition material. HSE guidance states that the process of cutting paving and kerbstones with rotary cutters requires RPE with an assigned protection factor (APF) of at least 40, so a full-face fitted with P3 particle filter or powered air respirator with P3 particle filter. For a high level of protection use a Powered Air Respirator (PAPR) like the Scott Safety Duraflow combined with an FH31 or FH6 headtop. The Duraflow is comfortable for use over long periods of time and highly durable. Headtops are a great tool of protection as they don't require a face fit, reducing the likelihood of leaks, and they offer protection to people with beards. The FH6 headtop also offers the added benefit of a built in hard hat, suitable for construction sites. The Promask2 with Pro2Flex filters is a low-profile full-face mask that offers a light-weight ergonomic design with a wide visor for an unobstructed field of vision. The Promask2 also offers clear speech technology and an airflow management system that prevents the visor from misting. AVIVA with Pro2Flex offers an affordable, quick and easy solution. This reusable half-mask is made with a comfortable, silicone free reflex seal meaning it is suitable for areas with paint spraying and can achieve easy fit. It also offers an innovative fit-check button for the wearer to ensure they have achieved a good seal. In addition, its intelligent voice panel means that the wearer can be clearly heard, eliminating the need for short-term mask removal to talk. It is also compatible with a wide range of other PPE. As a general rule when purchasing RPE for those working in an RCS environment look at the initial risk assessment and consider the specific environment the worker will be in, the level of protection they will require and the length of time they will be required to wear the equipment for. Most importantly, ensure workers remain protected: RPE will save their lives. Be aware of the risks and invest in RPE.